Did the cookie monster say hello again? Enjoying a cookie or some crumble without being blamed having eaten the whole package or plate. Simply removing all crumbs from floor, kitchen table or clothing can be done easily with the Table Crumb Sweeper Brush. The Whizzkleen Table Sweeper Crumb Brush by Caraselle Direct is very easy to use. It is a fast and effective cleaning solution. It is ideal for use in your home, car, workplace, caravan, boat and in restaurants, any jobs, small or large. No matter where you are the mini helper will swipe all crumbs from tablecloths and all surfaces. It comes in two halves. The mini table sweeper brush has no plugs, no leads and don’t need any batteries. You can carry it around in your purse without worrying to charge it as you have to do with your mobile. The crumb brush is versatile and there is nothing it can’t pick up. The crumb brush can clean crumbs, whizzkleen picks up rice, picks up pins, picks up nuts, bolts, screws, picks up coins, picks up glass and bulbs that are broken and picks up pine needles. The table sweeper brush works brilliantly on stairs. 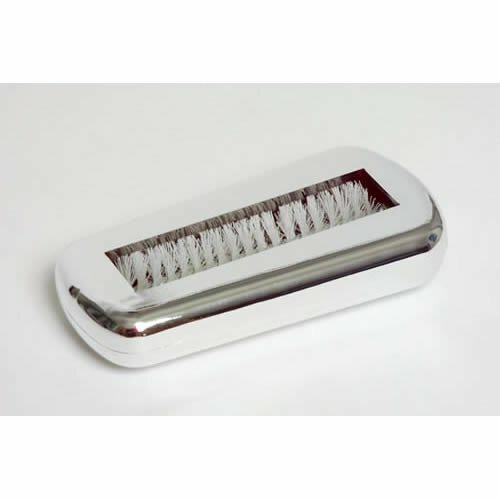 The mini sweeper brush is the best cleaning solution for your home. Try one and whip the crumbs away. Visit caraselledirect.com and get yours today.